Midsouth Eventing & Dressage Association is a 501(c)3 non-profit organization. 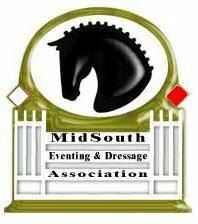 MSEDA’s mission is to promote and preserve the sports of Eventing and Dressage in the Mid-South area, by providing leadership and education to its members and the community at large. To further these goals, MSEDA will provide educational opportunities, fair and safe competitions, promote the welfare of the horse and rider and reward the pursuit of excellence from the grass roots to the FEI level.